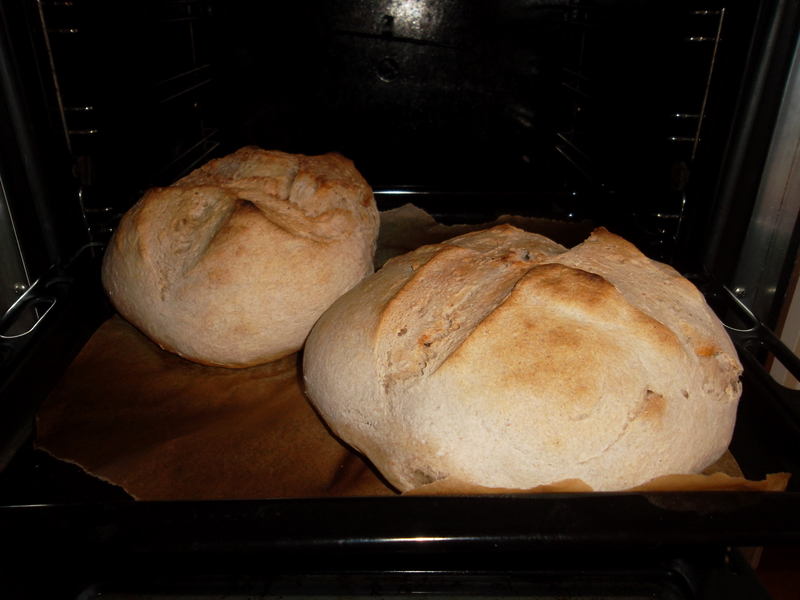 Today Zanzana has baked some bread with extra-virgin olive oil. This reminds her when she was studying at university and working in a rotisserie on afternoons and weekends. She was preparing bread with L., the owner, on Sundays, in the early morning, as the store was not receiving bread on that day as during the week. 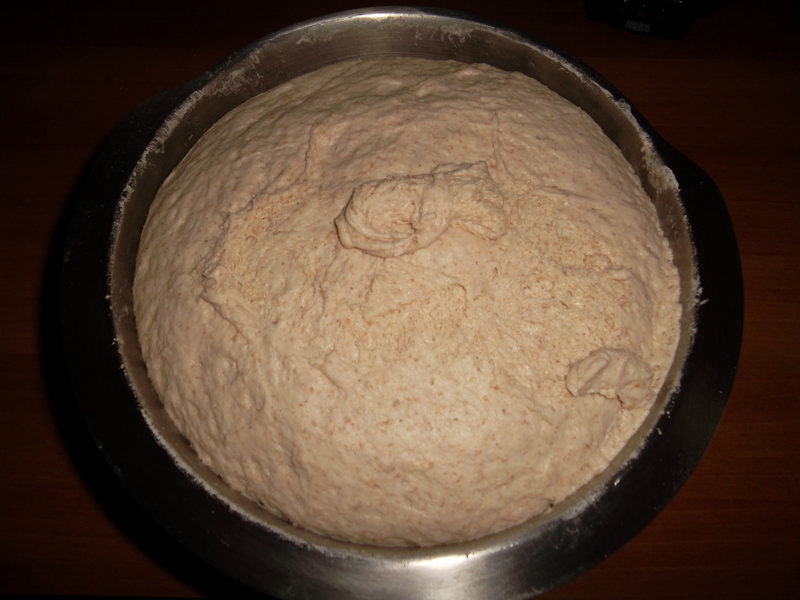 To be honest, L. was making bread and Zanzana was helping, but she has probably understood some basics and anyway found the whole process quite fascinating. 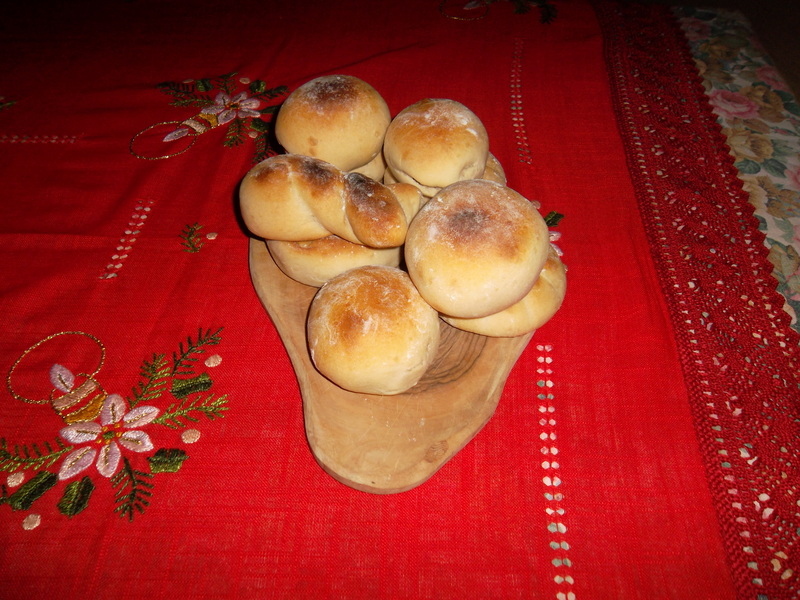 She has prepared this kind of bread also for Christmas lunch, when her family visited her. 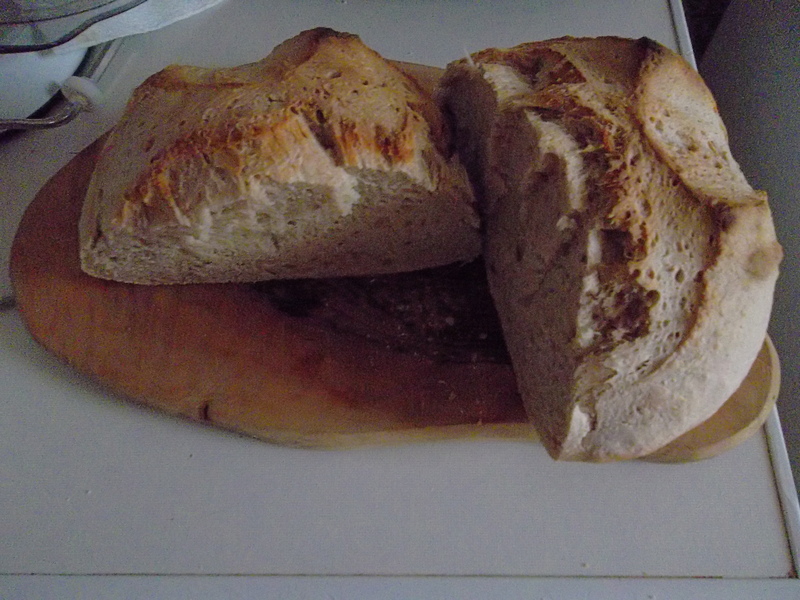 The result was quite good, even if Zanzana normally prefers to bake more rustic, crispy kinds of bread, as you can read here, while this is a soft one. 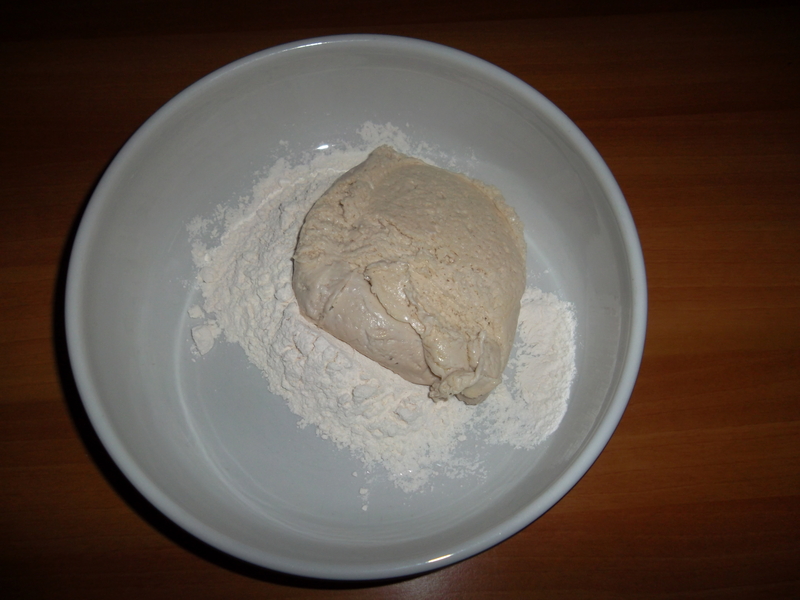 Melt the sourdough in warm water, add honey and flour, add salt, knead everything for 15 minutes, adding water until an elastic dough is done. 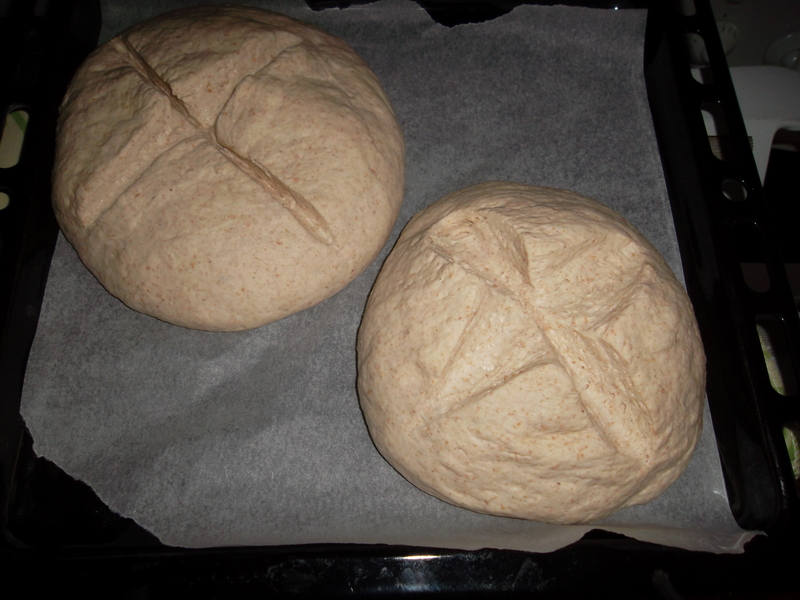 Let the dough grow for 15 hours, knead again and give bread the shape you prefer. 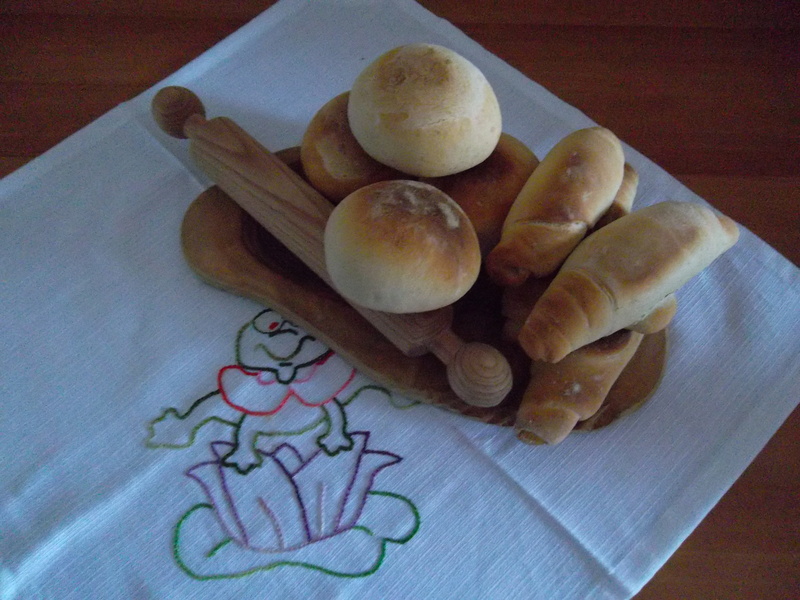 As you can see, small rounded panini or “maggiolini”, long rolled panini, are the best for this type of bread. You can leave them grow for another hour, then put them in the oven at 180 degrees, after having sprinkled them with a little olive oil and flour. They can cook for 20-30 minutes, depending on your oven, but be careful as they don’t have to get out too tanned! Happy New Year and Buon Appetito! She has worked for over an year with brewer’s yeast, but recently she managed to prepare her homemade yeast, which is now a couple of months old. 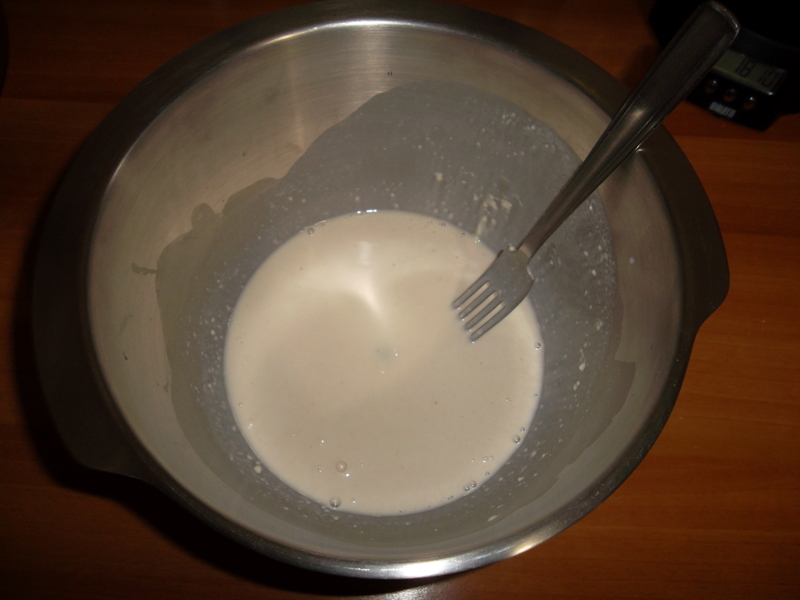 The recipe she has used is here, we will talk later on about it. 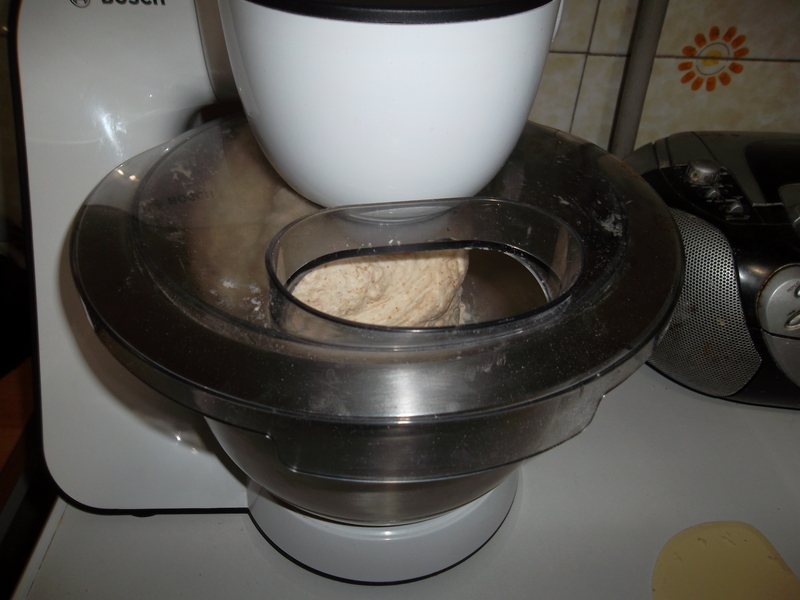 She was very lucky, because it worked immediately, and now she is baking her bread at home twice a week. 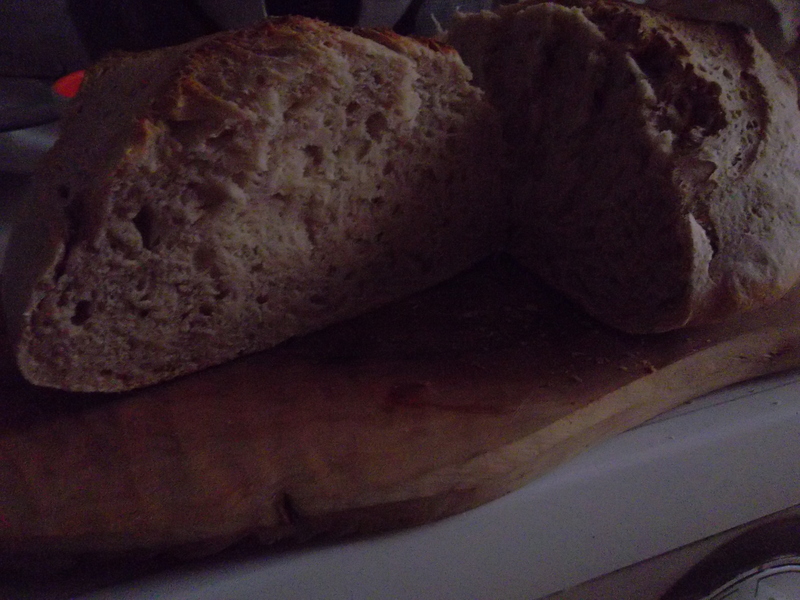 She has started that because she wanted to eat some better bread, of course, but also because she is very happy when she can do something herself, and avoid buying it. She also feels that, in her generation, she was very lucky because she could study as much as she wanted to, but at the same time she thinks she is not able to do things with her hands. 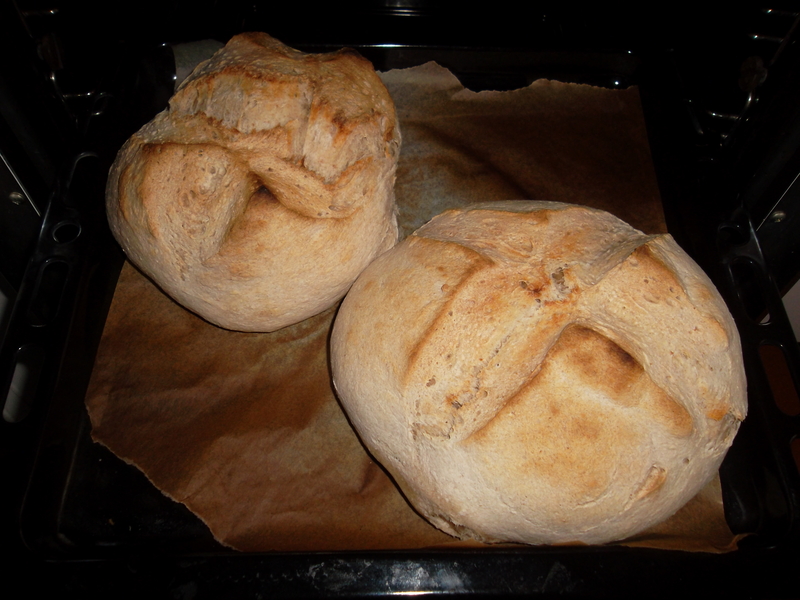 Preheat the oven at 200 degrees, than cook the bread for 30 minutes or so; turn off the oven, leave the bread inside for 10-15 more minutes, then take it out: here is our bread!